We are committed to protecting the privacy of patient information and to handling your personal information in a responsible manner in accordance with the Privacy Act 1988 (Cth), the Privacy Amendment (Enhancing Privacy Protection) Act 2012, the Australian Privacy Principles (APP) and relevant State and Territory privacy legislation. Our policy informs you whether we are likely to disclose personal information to overseas recipients, and if so, the countries in which such recipients are likely to be located if it is practicable to specify those countries. It also explains how you may make a complaint about a breach of privacy legislation. 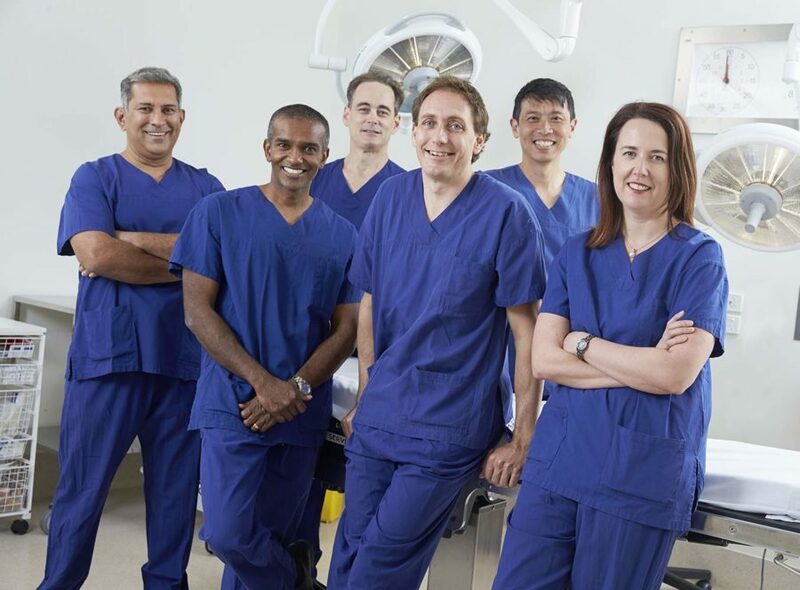 The use of the terms “Our practice”, “we” and “us” throughout this policy refers to the Western Australian Plastic Surgery Centre, Assure Cosmetic Centre, HANDOC – The Hand Injury Management Experts, and all surgical, clinical and administrative staff employed by these practices. Our practice has made this and other material available to you to inform you of our policies on management of personal information. On request, our practice will let you know, generally, what sort of personal information we hold, for what purposes, and how we collect, hold, use and disclose that information. It is necessary for us to collect personal information from patients and sometimes from others associated with their health care in order to attend to the patient’s health needs and for associated administrative purposes. ‘Personal information’ is any information recorded about a person where their identity is known or could be reasonably worked out. We will be fair in the way we collect information about our patients. This information is generally collected directly from our patients, but from time to time we may receive patient information from other sources including, but not limited to, other healthcare practitioners and healthcare services. When this occurs we will, wherever possible, make sure you know we have received this information. Personal information also includes clinical imaging (see ‘Policy on Patient Clinical Imaging’) and web log files (see ‘Website Data Collection’). If you are unwilling to provide any of the information we request, please discuss it with us. In certain circumstances this may require you to seek professional services elsewhere and not from us. If our practice receives unsolicited personal information we will determine, within a reasonable period after receiving the information, whether or not we could have collected the information under APP 3 – as if we had solicited the information. For instance, our practice often receives unsolicited personal information in the form of referrals directly from referring medical practitioners. We will assess the information to ensure it is addressed to our practice and/or one of our medical practitioners – if this is the case, the personal information will be treated as if we had solicited the information. There are some necessary purposes of collection for which information will be used beyond providing health care (the secondary purpose), such as professional accreditation, quality assessments, clinical audit, billing, patient satisfaction surveys and so forth. The doctors of our practice use shared patient files and therefore all patient records collected at this practice will be available to any medical practitioner you see at this practice. the individual has not already requested to opt out of direct marketing from our practice. Individuals may request that our practice provide its source of their information. If such a request is made, our practice must notify the individual of its source without any charge within a reasonable period of time, unless it is impracticable or unreasonable to do so. If an individual’s mobile number and/or Email address has been provided to our practice, these may also be used as a method of electronic communication, such as providing SMS/Email appointment reminders, newsletters and so forth. You may request to opt out of this method of communication at any time. We do not disclose personal information to third parties for the purposes of any direct marketing by them (see ‘Use of Third-Party Medical Services or Tools’). An individual’s privacy is protected Australia wide by privacy laws. We will take steps to protect patient privacy if information is to be sent interstate or outside Australia. Our practice will not disclose personal information to recipients overseas, without that individual’s consent. Our practice primarily stores and retains a patient’s personal & health information in electronic form in a cloud environment through our IT provider. Our IT provider is compliant with the Australian Privacy Principles, including ensuring all information is secured by the physical security of purpose-built Australian-based data-centres, and their IT security systems. Our IT provider holds your information as a ‘de-identified’ data-set and does not hold any rights, intention, or facility to access, classify or use that data for any reason other than secure custodianship. Our IT provider will not provide your information to an external party without your express written permission (other than that lawfully required by Australian Government or Law Enforcement Organisations). Our practice may also choose to store and retain a patient’s personal/health information in hard copy and/or electronically either on site or with our secure Perth-based document archive storage provider. Our practice will take such steps as are reasonable to ensure that the personal information that it collects, uses and discloses is accurate, up-to-date, complete and relevant. Upon your request, your health information held by this practice will be made available to another health service provider. Our practice will take all reasonable steps to amend or correct any personal information held that is not accurate, complete or up-to-date. If our practice corrects personal information about an individual that we have previously disclosed to another party and the individual requests that we notify the other party of the correction, we will take such steps (if any) as are reasonable in the circumstances to give that notification unless it is impracticable or unlawful to do so. If you and our practice disagree about whether your information is accurate, complete and up-to-date, you may request that our practice associate the information with a statement claiming that the information is not accurate, complete or up-to-date. Our practice will provide reasons for denial of access or a refusal to correct personal information. In dealing with your complaint, we will communicate time frames to you based on the nature and complexity of your concern and will do our utmost to adhere to these. If you are dissatisfied with our response to your privacy complaint, please contact the Office of the Australian Information Commissioner (OAIC) for further advice by telephone (1300 363 992) or by visiting their website (www.oaic.gov.au). Our practice may use third-party websites, products and services to enhance our patient’s experience. Our practice may also use or offer products or services from third parties. Information collected by third parties, which may include such things as location data, contact details, or clinical imaging you have provided or consented to our practice using, is governed by their privacy practices. We encourage you to learn about the privacy practices of those third parties. Genie Two-Way SMS – Appointment SMS functionality made available through our practice software provider Genie Solutions; Based in Australia and Europe. In common with most websites, our website automatically logs certain information about every request sent to it. This information is used for system administration and for producing usage statistics. Summary statistics are extracted from this data and some of these may be made publicly available, but these do not include information from which individuals could be identified. Relevant subsets of this data may be used as part of investigations of computer misuse involving this site. Data may also on occasion be used to enable investigation of technical problems on the website. Otherwise logged information is not passed to any third party except if required by law. From time to time we will use electronic forms on this site to gather personal information for purposes directly related to a service, function or activity of our practice. When we do so we will let you know the purpose for which the information is being collected (including if the information is to be published). Completion of and submission of any form on this website is entirely at the discretion of you, the website user. In using and submitting forms on this website you agree that our practice may use any personal data of yours that you supply through the forms. Our practice will only collect and use your information to administer, support, improve and obtain feedback on its service. Our practice may also use this information to assess what services may be of interest to you and to personalise our service and marketing. Our practice may also contact you to obtain feedback on services and any improvements we can make to them. Clinical imaging, which includes photographic, video and audio recordings, are an important part of your medical record, and are a form of personal information that is ‘sensitive information’. During the course of your treatment, clinical imaging may be taken for our records (i.e. our ‘use’). These are necessary for accurate record keeping, comparison and reference. Clinical imaging may also be provided to our practice by your referring GP/specialist. This imaging is accessible only by the staff in our practice. Identifiable clinical imaging (i.e. those that are identifiable as you) will not be shown to other patients, or published online or in medical literature (i.e. ‘disclosed’) without your express written consent. However, identifiable clinical imaging may occasionally be shown without your express consent in closed medical sessions with other doctors or nurses for educational purposes only. These sessions are bound by a code of strict confidentiality. Should you object, please let us know. Pre- and post-operative clinical imaging is useful in helping a patient make a decision about whether to go ahead with a procedure, and demonstrate the quality of our work. In cosmetic procedures such as breast augmentation, breast lift or breast reduction; liposuction; and abdominoplasty, clinical imaging is not identifiable. In others such as facelift, rhinoplasty, eyelid surgery, and ear surgery, clinical imaging may be identifiable. In order to show patients such identifiable pictures of other patients, we need their express consent. We are extremely grateful to those patients who give us such consent. Of course, this consent may be given or withdrawn at any time.